So, Aubrey decided to shake things up a bit today and asked me write a post. She might soon regret this decision, because today I am discussing Intermittent Fasting (IF). Please, I beg of you, keep reading. Let me guess. I had you all the way up to the word fasting, right? That’s when I shut down the first time I heard of IF as well. But lets be honest here, the only reason we are so steadfast in our beliefs that going extended periods of time with no food is simply because we were told so. Whether it was your doctor, your mother/family, or your government, I am sure you were told that you need your 3 square meals a day. I am assuming that none of us have performed our own studies to investigate the advantages or disadvantages of human eating schedules. And by all means, if you have, I would like to encourage you to comment on this post and explain what you have found, because I have had trouble finding good studies on the subject. I will challenge the theory that we need three square meals a day or more, depending on which diets you subscribe to, and say this theory isn’t much better than a well executed rumor. A bunch of people have told us that this is the way we should eat, so we believed them. Now before you get all upset that this sounds like some conspiracy theory, let me take this time to remind you that you are on a blog discussing the benefits of a Paleolithic diet. The same diet that refuses to accept the nutritional standards that have been set forth for us for the past 50+ years. So please join me in an attempt to debunk another commonly practiced standard in nutrition. Now before we go any further we need to have a reasonable and acting definition of the term Intermittent Fasting. So we all have a strong grasp of what we mean by the term. Broken down, fasting is simply defined as abstaining from all, or some kinds of food or drink. And intermittent is defined as stopping or ceasing for a time; alternately ceasing and starting again. Therefore we can conclude that a reasonable and acceptable definition for Intermittent fasting (IF) is a pattern of eating that alternates between periods of fasting and non-fasting. All this to say that we all partake in IF, and usually do so daily. Unless you are waking up periodically throughout the night to pound down some more food, you are probably operating at a 12/12 eating schedule. That is 12 hours of fasting followed by 12 hours of feasting. Hopefully, everyone is now fully on board considering I have taken some of the pain out of the negative connotations that can accompany the term IF. Also, we have an acting definition for IF, and learned that all of us, to some extent, participate in IF. Now seems to be the most opportune time to go a little bit further and look at some of the more common practices of IF. Of course, by definition you can simply go random periods of times without consuming food, but I would discourage this. And if it makes you feel any better, so would a bunch of people that paid lots of money and time to gain a formal education in nutrition. As we previously found, this is the IF practice that most of the world adheres to. A common example of this practice is an individual who may finish dinner sometime around 8:00 p.m. and not eat again until they have breakfast the next morning at 8:00 a.m. Typically individuals will eat three meals during their 12 hour feast period, including a breakfast, lunch, and dinner. There are also variations to this practice, with more meals during the feasting period. Typically ranging from 4-6 smaller meals throughout the 12 hour feast period. Recently there has been more and more nutrition experts that have been promoting the variation of more frequent smaller meals throughout the day for a healthier lifestyle. 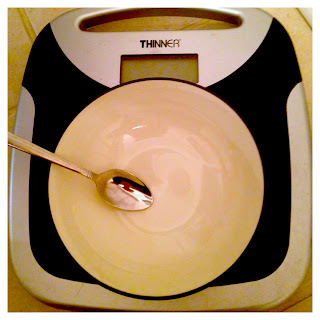 This is the style of fasting that I have found best, and I have found most highly recommended. I have to throw out some credit here, and state that the leading expert in this style of fasting is Martin Berkhan. All of his information can be found at www.leangains.com I would highly recommend checking out his page. In most cases, for this style of fasting, individuals would simply extend their 12 hour fast by skipping breakfast. This is typically the easiest style of fasting because most people like to go to bed satiated and don’t mind going an extended period in the morning without food. This is a less common style of IF, but is an option none the less. I have not attempted this style of fasting for myself, so once again, if you have some good experiences I would like to encourage you to let me know. Similarly to the 16/8 IF approach. You simply extend your typical 12 hour fast, but this time all the way to dinner. There are a couple of reservations that I have with this approach. One being that I believe an individual can get best results by having a very large post workout meal when fasting. This becomes more difficult with only a four hour feasting window. Also, I do not believe that IF should cause an individual to drop their daily or weekly calorie count. This becomes very difficult to accomplish under the 20/4 approach. And if an individual can successfully put down a full days worth of calories in only four hours, it isn’t necessarily a good thing. There are a number of studies out there that show that high of a calorie load in such a short time frame can induce serious gastrointestinal problems. If you feel this approach seems rather extreme, I would have to agree. You go one day without eating, then eat the next. First of all, I find it extremely difficult for an individual to meet their weekly caloric goals with this approach. He makes the valid point that a large portion of the world has or is currently facing periods of hunger. It can be very enlightening to experience this prolonged period of hunger. Learning the difference between psychological hunger and physiological hunger. Simply put, the human body gets trained to eat and crave at a certain time of day. And when this time of day comes to pass, your brain will tell your body to eat whether you truly need to or not. I have experienced this for myself during a 20/4 IF and I agree that when your body actually requires sustenance, it will let you know. It is extremely beneficial for a person to know this difference between psychological hunger and physiological hunger when experimenting with IF. I have found IF to be very successful. There is a laundry list of benefits. I have more energy throughout the day, I get to eat more at each meal, weight loss, leaning out, and I can be more lenient on my frequency of meals. While researching IF I found that there is no direct correlation between the frequency of meals and the speed of one’s metabolism. This came with great relief. This meant no more taking food everywhere with me, and stressing every two hours that I need my meals or my body was going to start devouring my muscles. I would like to preface my sample day with some information regarding my diet. I adhere to a Paleo Diet, and am close to 100%. I do not count calories or nutrients. But I am very mindful of them both. Also, during IF and Paleo it is very important that an individual receives at least eight hours of sleep a night. This sleep needs to be in a completely black room and fairly restless. Finally, it is important that you experiment with IF only in a stress free environment. This will prove to have the best results. And when starting out you might be a little irritable while adjusting. *I rotate training between Crossfit, Aerobic cardiovascular, and Olympic Weight Lifting training. I also perform two a days a maximum of three days a week. Typically rotating every other day. I hope you find this information helpful. Also I would like to make it very clear- I am not a doctor or a nutritional expert!! 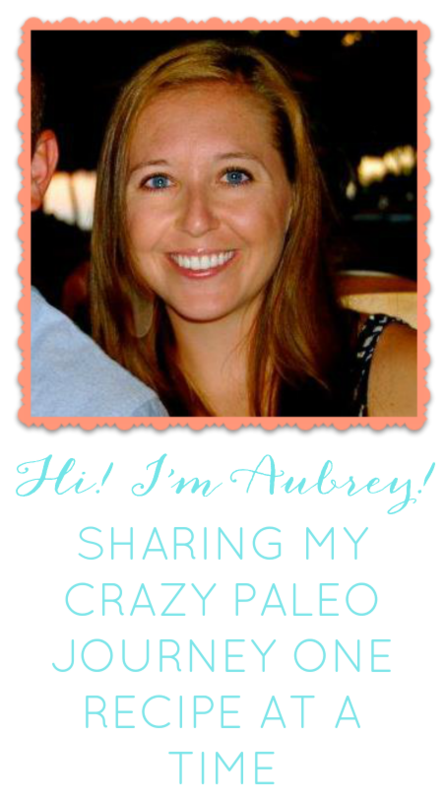 I have spent a lot of time researching IF and do adhere to a Paleolithic diet. You most likely came across the book Eat Stop Eat by Brad Pilon during your research. If not, be sure to check it out! I did come across this. I haven't read the book in its entirety, but have read a number of excerpts. From what I have read, I agree it is a great book with tons of insight and knowledge. Thank you for adding that. I hope you enjoyed!